I offer Reiki treatments by appointment at DCompress Downtown in San Diego, CA. Receiving Reiki treatments periodically, or practicing self-treatment has cumulative benefits for one’s health and wellbeing. Urban Yogi offers Reiki sessions by appointment at our location inside DCompress Downtown in San Diego's Little Italy. A Reiki session involves a practitioner who has been “attuned” to the energy of Reiki placing their hands lightly over the body. No physical pressure or massage-like movements are involved. Reiki is received while fully-clothed and lying on a massage table or sitting in a chair. The person receiving Reiki will generally feel relaxed and calm, and may drift off to sleep. While a single Reiki session can be very effective, it is advised that people experiencing acute or intense conditions receive a course of three to four sessions over a period of two weeks. Receiving Reiki periodically, or practicing Reiki on oneself has cumulative benefits to health over time. Receive the sacred attunements of Usui Reiki and learn practical uses for self-treatment, and serving others. Receive comprehensive Usui Reiki training and sacred attunements by appointment, for yourself, or a small group of up to 8 people. Learn about the origin, history and evolution of Reiki as a healing practice. Experience Reiki energy and learn how it is used to promote general wellbeing in personal and clinical settings. Receive the First Degree attunements in the Usui Shiki Ryoho & Ichi Sekai System of Natural Healing. Use clinically relevant and traditional Usui Reiki methods for enhancing your general well-being, and sharing Reiki with others. Learn how to use Reiki on plants and animals, and to harmonize the energy of your physical environment. Apply the principles of Reiki to everyday life. Share your experience in practicing Reiki since your Level 1 class, ask questions and refresh Level 1 treatment protocol and principles. Receive the second degree attunements in the Usui Shiki Ryoho & Ichi Sekai System of Natural Healing. Learn about the seven main chakras and their connection to the nervous and endocrine systems. Use Reiki to support physical, mental and emotional health in the body's main energy centers. Practice sending Reiki to past events, into the future and from a distance. Connect with fellow Reiki practitioners and build conscious community. Apply the principles of Reiki to ethical conduct as a professional in the field of complementary care. Share your experience in practicing Reiki since your Level 2 class, ask questions and refresh Level 2 practices and principles. Learn how to serve others as a Reiki Master, perform attunements and hold classes. If I could give one thing to everyone on Earth, it would be a Reiki attunement! My relationship with Reiki is strong and brings me peace, health and well-being in every area of my life. I have practiced Reiki daily since April, 2012 when I received my first attunement from Reiki Master Catharine Walkinshaw through the Usui Shiki Ryoho & Ichi Sekai System of Natural Healing. 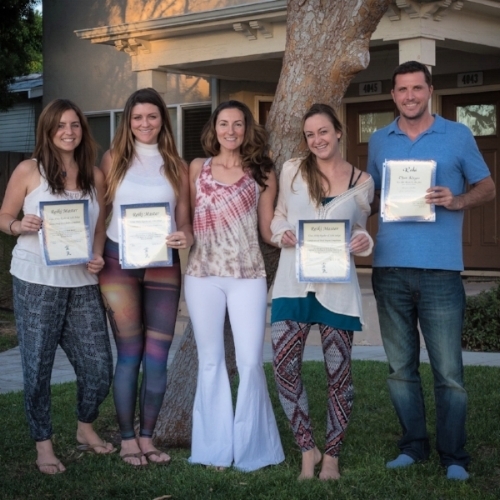 After two years of study and attunements in the three degrees of Reiki, I became a Reiki Master Teacher. Since 2014, I have had the honor of serving as a Reiki Master Teacher for over 100 students, including 10 new Masters of my Usui Lineage. I see this work as a meaningful contribution to world peace.